In those Latin American countries that have decided to abandon neoliberalism in pursuit of social justice, there has been a change in the parameters of political debate in presidential electoral politics. Right wing electoral campaigns can no longer count on the effectiveness of hysterical anti-communism nor on singing the virtues of the free market to inspire the confidence of the independent voter. Even the old reliable appeal to democracy and freedom rings hollow without the now obligatory mention of social rights as part of any winning electoral strategy. Despite such born again liberalism on the right, it is simply no longer possible to garb oligarchic interests in the raiment of democracy. The concept of “democracy” has taken firm root in the social and economic spheres, where it has become a vehicle for emancipation. 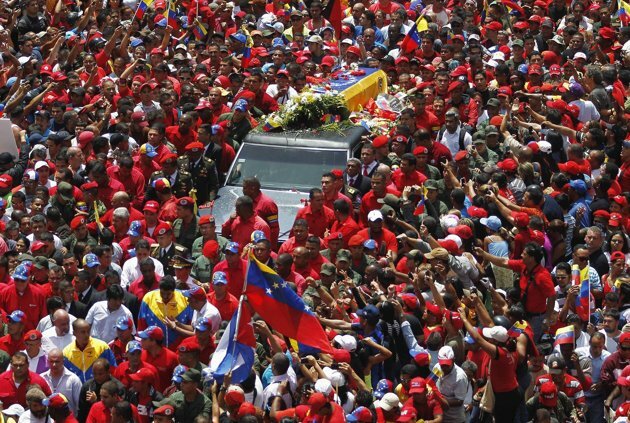 While there is a broad spectrum of left and center left regimes that have emerged in Latin America over the past two decades, the intensity of the struggle for social justice is nowhere more pronounced than in Venezuela. The country’s April 14 presidential election is especially important, because it is likely to provide an indicator of the balance of forces between attempts to rehabilitate neoliberalism and efforts to advance experiments in 21st century socialism. This essay examines the electoral contest in Venezuela, as well as the ideological differences that inform the election campaigns. With the Venezuelan presidential election just over two weeks away, Hugo Chávez’s designated candidate and successor, Nicolás Maduro (Great Patriotic Pole, GPP)  holds a commanding 14 to 22-point electoral lead in the polls. This is due in large part to the enduring popularity of late President Hugo Chávez and Maduro’s firm commitment to continue the Bolivarian revolutionary project. Opposition candidate Henrique Capriles Radonski (Democratic Unity Roundtable, MUD) is trying to limit Maduro’s appeal by offering a rehabilitated form of neoliberalism, which promises to promote private initiative while making social programs more efficient. At the same time, the MUD campaign attacks the intimate Havana—Caracas relationship, ridicules the close identification of Maduro with the image of Chávez, and challenges the government’s economic policies. The MUD campaign, however, is also attempting to raise doubts about the legitimacy of the electoral process. It is not yet clear whether this is based on a genuine desire to reform the National Electoral Commission (CNE) or is part of a cynical plan B to abandon the electoral process (should closing the gap with the front runner appear hopeless). For Capriles to have any chance at eroding Maduro’s lead, he must walk a fine line between pragmatic concessions to the enormously popular missions (social programs) implemented under Chavismo and the MUD’s own ideological commitment to free markets. For instance, Capriles’s six-year plan promises to preserve the level of social protection thus far effectively achieved by the current government. This generosity is conditioned by an important proviso—that social investment be conducted, not only in the absence of Chavista socialist values, but rather in a way that “preserves and guarantees the right to private property, economic liberty, and private initiative.”  Furthermore, the communal councils, which are local, community-based organs of participatory democracy established under the Chávez administration, would continue to operate, as long as they are de-ideologized, separated from any particular political party’s control, and respect the traditional state and municipal institutions of governance. By de-ideologizing the organs of popular power, and by prioritizing private over collective initiative, MUD social programs would no longer be designed to transcend state paternalism or become vehicles for the transfer of more political and economic power to the collective control of the poor and formerly disenfranchised. Under the MUD plan, the politics of the missions and the communal committees would not transcend ideology. After all, tying the organs of popular power to the ideals of the free market is itself an ideological commitment, since capitalism is not a value free system. The MUD campaign has focused part of its attack on the close relationship between the United Socialist Party of Venezuela (PSUV) and the Cuban government. Capriles complains that in return for the purchase of about 100,000 barrels of oil per day (on terms that are advantageous to Cuba), “Havana has paid in part with the work of about 40,000 doctors and other professionals,” but if Capriles were elected President, “not a drop more of oil would be used to finance the government of Cuba.”  This is an understatement of the Cuban contribution to social missions in Venezuela. Cuba provides health services to hundreds of thousands of Venezuelans in areas of Venezuela that were formerly underserved (the program is called Barrio Adentro). Cuba has also contributed teacher trainers and learning materials for Venezuela’s ambitious literacy campaign (Mission Robinson), launched in 2003. According to COHA Researcher Keven Dickey, by 2005 this mission “helped over one million adults learn to read and write.”  Cuban professionals have also been collaborating with Venezuelan counterparts in training thousands of Venezuelan students in a six-year Comprehensive Community Medicine Program (MIC) that prepares them for work as medical doctors. In March 2013, 6,069 students graduated from the MIC program in the state of Zulia. With so many beneficiaries of Cuban humanitarian assistance, it is unlikely that constant Cuba bashing will win many new converts to the MUD cause. The MUD also accuses the PSUV (in particular, Nicolás Maduro) of taking orders from Havana. 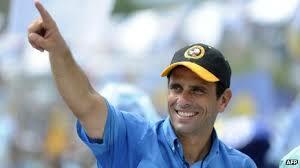 In early February 2013, Capriles said, “Mr. Maduro is a conspirator and traitor that receives orders from the government of Cuba and makes a gift of our people’s money in the exterior.”  Those are some strong words. While there is a fraternal relationship between Havana and Caracas, the Bolivarian revolution has taken a far different direction than Cuba in terms of the political pluralism through which the PSUV-GPP competes for power at the ballot box. 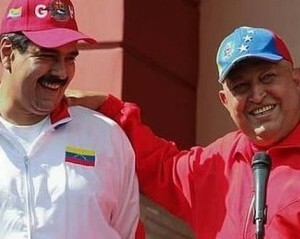 Maduro will most likely continue, as Chávez had done, to maintain close relations with Cuba while forging a uniquely Venezuelan path to socialism. Capriles probably gets most traction from his critique of Maduro’s continuation of Chávez’s economic policies. This critique centers on concerns over inflation, which is currently more than 14 percent, the highest rate in Latin America, and on some troubling shortages of basic necessities. 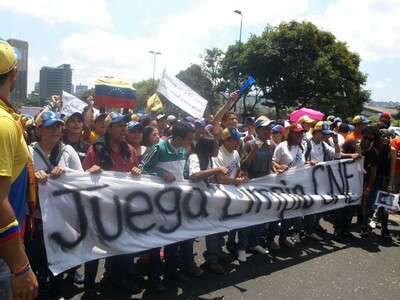 Capriles’s supporters also tend to share his firm opposition to governmental intervention in economic matters. Nevertheless, the impressive GDP growth of approximately 5.7 percent in 2012, in addition to dramatic overall reductions in extreme and general poverty of the Chávez years, make it difficult for Capriles to win the debate on economic policies, especially with the poor and lower middle classes. Perhaps the most important dimension of Maduro’s identification with the legacy of Chávez is Maduro’s commitment to carrying on the next phase of the revolution. The PSUV-GPP program aims at overcoming neoliberal hegemony and substituting a socialist ideology in its stead. The program would continue a trend of transferring more control of the national wealth from the oligarchy to the Venezuelan populous. Like Capriles, Maduro promises to support the social missions and promote an increase in citizen participation in the communal councils, but unlike the MUD plan, Maduro would preserve the pervasive socialist orientation of those councils and other organs of popular power. For the goal is not only the eventual achievement of political equality, but also social and economic equality. The April 14 presidential election in Venezuela expresses the ideological struggle between two radically different concepts of democracy, liberty, rule of law, and equality. On the one hand, the neoliberal regime champions equality in terms of equality of opportunity. In material conditions of extreme economic inequality, however, those already privileged are much more likely to benefit from the free market than those who bring only their labor. This privilege extends to the foreign oil companies that used to extract an inordinate share of national wealth from the country. As for liberty, the fundamental question is—liberty for whom and to do what? In free markets, those who own the means of production have the greatest amount of liberty to make a profit, enjoy leisure time, and realize their human potential. The rule of law generally expresses the interests of the dominant class, so in the case of MUD’s rehabilitated form of the neoliberal project, private property rights are for the most part given priority over social rights. While the Latin American experiments in 21st century socialism also employ the concepts of democracy, liberty, the rule of law, and equality, there is a critical difference. Since the ability of all persons to realize their own potential, not profit, is paramount in developing the good society, democratic rights should be joined with social rights and have priority over private property rights. The ideal of equality calls for a radical reduction of the economic, social, and political inequality that has rendered a select few very wealthy and the majority poor. In the socialist narrative, liberty is no longer conceived as the liberty to exploit the marginalized masses, but as the liberty of people to have maximal control over their own labor, to develop their talents, preserve their health, be housed with dignity, and cooperate with rather than exploit others. Along these lines, should the experiment be democratic in nature, the rule of law translates to more protection and promotion of social and economic rights for all citizens and residents, not at the expense of civil liberties, but in addition to them. The realization of abstract ideals is always imperfect, but there is an obvious contrast between the neoliberal and democratic socialist ideals. At this time in Venezuela, the neoliberal cause, even in its rehabilitated form, has an uphill battle in winning over those who identify it with a return to pre-Chávez era politics. The pre-Chávez era two-party system (AD and Copei) was notoriously clientelista (or nepotistic, a disease that still requires constant remediation) and made the error of adopting a neoliberal reform agenda in the late 1980s. On February 27, 1989, in response to the neoliberal recipes implemented by President Carlos Andrés Perés, impoverished Venezuelans rioted in the streets of Caracas and other Venezuelan cities. The country’s security forces responded to what is now called the caracazo with tear gas and bullets, killing hundreds. It was the caracazo that in part catalyzed the revolutionary movement in the nineties and the anniversary of this event has become a symbol of resistance to neoliberalism. I will also refer to Nicolas Maduro as PSUV—GPP candidate. I have used these numbers based on a number of recent polls that give the following percentages with regard to intention to vote: International Consulting Services (ICS) gives Capriles 40.5% and Maduro 58.2%; Hinterlaces gives Capriles 35% and Maduro 53% (conducted between 11th and 16th of March); Datanalysis gives Capriles 34.8% and Maduro 49.2% (conducted between 11th and 13th of March); Instituto Venezolano de Análisis de Datos (IVAD) gives Capriles 53.8% and Maduro 31.6% (conducted between 12th and 18th of March). There are two sources that appear to be keeping track of a number of polling organizations. One is maintained by a student research group at https://operaciontransparencia.wordpress.com/mas-informacion/encuestas/encuestas-2013/. The other is http://www.noticias365.com.ve/relevante/encuestas-dan-a-maduro-entre-16-y-22-puntos-de-ventaja-para-presidenciales/. http://www.operaciontransparencia.com/tag/carlos-vecchio-ante-cne/. Some of the demands include: “Aclaratoria del rol de los Coordinadores de Centro y su mecanismo de selección; Reglas claras para el Plan República en vista de sus extralimitaciones en pasados comicios; No permisión de la milicia, únicamente del Plan República; Mayor altura y pieza única del paraban para dar “mayor garantía” de la seguridad del voto.” Quotation is from operation transparency. http://www.eluniversal.com/nacional-y-politica/130326/tres-diputados-suplentes-retiran-apoyo-a-capriles. The English is the author’s translation of the Spanish original. 40. La oferta social del programa y del gobierno de la Unidad pertenece al corazón de su ideario. La inclusión social será uno de los grandes desafíos del nuevo gobierno, porque los abismos estructurales para el acceso al disfrute de los derechos sociales básicos son numerosos. (Estado democrático y social de Derecho y de Justicia), lo que implica un compromiso de las instituciones con la lucha a favor de la igualdad de oportunidades y el goce de condiciones para una existencia digna. La política social debe estar en el centro de la agenda pública. niveles de protección social que el actual gobierno haya alcanzado, aunque reorientándolos o reconduciéndolos a la lógica institucional y de respeto a los derechos humanos de todos que ha de guiar las políticas y la actuación oficiales. Debe producirse un corte categórico y visible con el uso clientelar o demagógico de la política social, como también con las exclusiones ideológicas hoy imperantes en ámbitos relacionados con el ejercicio de derechos de participación en la vida sociopolítica y con el goce de derechos sociales. See section 43 of the MUD Plan. The English is the author’s unofficial translation. See sections 71, 72, 75, and 76 of the MUD Plan. I am assuming, because is is not made explicit, the ideology that is referred in the MUD document is Chavismo or Socialism. This is the author’s unofficial translation of the original English: “Conspirador y traidor es el señor Maduro que recibe órdenes del gobierno cubano y regala el dinero de nuestro pueblo en el exterior.” See http://www.prensa.com/uhora/mundo/capriles-maduro-castro-venezuela-cuba-ordenes-traidor/154621. Maduro helped to found the Movement of the Fifth Republic in the late 1990’s, the Movement which launched Chavez’s first successful run for President in December of 1998. According to a Hinterlaces poll conducted between March 11 and March 16 of this year, the approval rating for Chávez’s past presidential performance is up from 65 percent in February to 69 percent in March; simultaneously, the disapproval for rating for Chavez has fallen by two percentage points during that same period. This Chavez affect probably gives an added boost to Maduro’s ratings too. See Gregory Wilpert (2007), Changing Venezuela By Taking Power: The History and Policie of the Chavez Government, New York: Verso. I am indebted to Wilpert’s analysis of the centralizing versus the participatory tendencies in the Bolivarian revolution; all shortcomings, are, of course, my own.